The Isle Of Palms, beautiful beaches, and homes, where most people visiting Charleston South Carolina, spend there summers here. Hidden of 48th st is Wild Dunes Resort & Spa, a exclusive resort, that of the .Isle Of Palms holds the most weddings, claiming at times over 200 per year. Many future brides love this resort, with features the beach, the boardwalk, the pools and the wonderful lawns where most of these weddings ceremony are held. They also have a brand new reception hall with many rooms witch are very nice. I love photographing weddings at the Wild Dunes Resort & Spa. 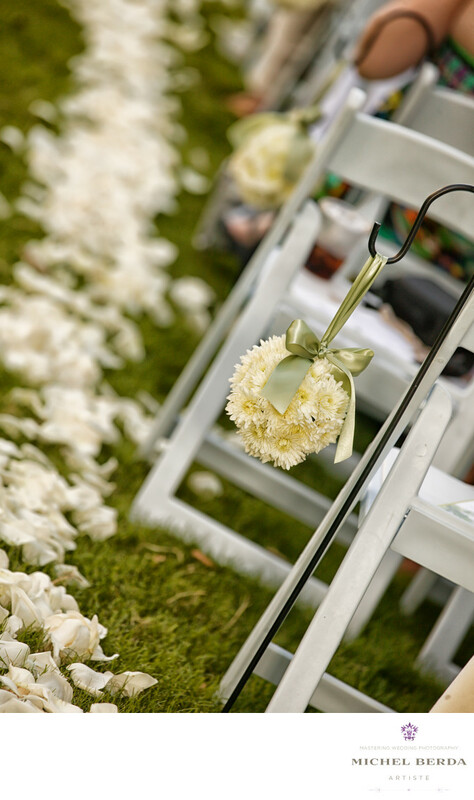 The Wedding details I captured this image for that reason, the bride had spent so much, I love the flowers arrangement, the rose petals on the green grass, the white chairs that balance the entire image, in most of my images like this, I love to have that tilt in my frame. I love this image and can’t wait to capture another amazing wedding there.Keywords: Wedding (90), Wild Dunes Resort (21).